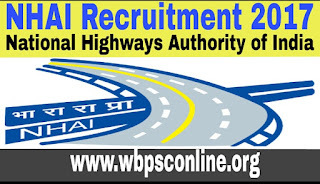 National Highways Authority of India(NHAI) has advertised a recruitment notification to the posts of Deputy General Manager (Information Technology) and Manager (Legal, Admin) on Deputation Basis. Eligible candidates may apply for the above mentioned posts through offline mode within 29.09.2017. 1. Deputy General Manager(IT): Total no. of vacancies for the post of Dy. General Manager(IT) are 02(Two). Pay Scale: PB-3- Rs. 15600-39100 + G.Pay Rs. 7600/-. 2. Manager(Legal): Total no. of vacancies for the post of Manager(Legal) are 02(Two). Pay Scale: PB-3 Rs. 15600-39100 + G.Pay Rs. 6600/- (Pre-Revised). 3. Manager(Admin): Total no. of vacancies for the post of Manager(Admin) are 02(Two). To download the application form for the post of Dy. General Manager(IT) click here and for the posts of Manager(Legal) & Manager(Admin) please click here. 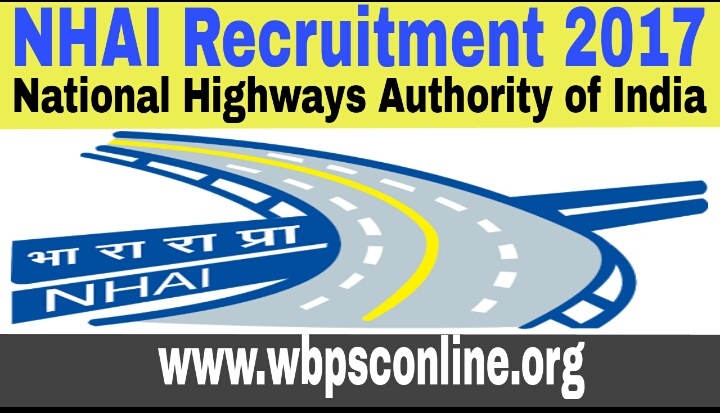 For detailed information about eligibility criteria and other conditions you may visit the official website of National Highways Authority of India at www.nhai.org. Important Date: Duly filled in applications along with proper documents should reach the communication address within 29.09.2017.